A mile wide and two hundred and fifty miles long certainly puts murmurations of starlings in their place. 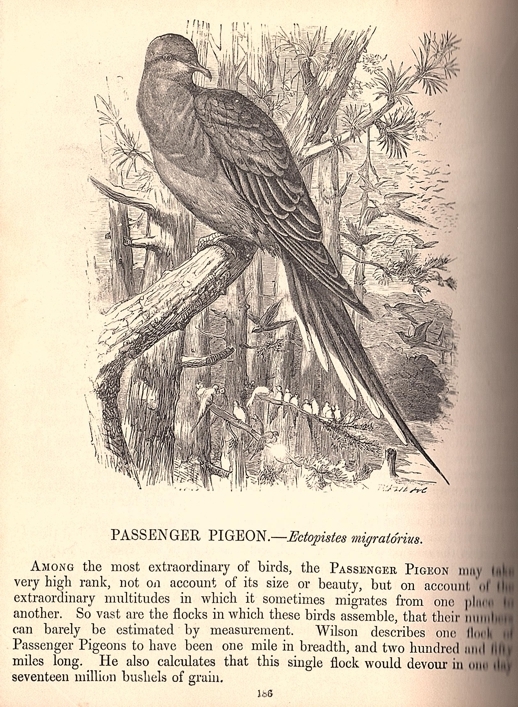 The last wild passenger pigeon was shot in 1901. The last captive one, called Martha, died in 1914 at Cincinnati Zoo.